Gincident: (noun) An event that happened due to one too many gins. GINCIDENT, Adelaide’s first festival dedicated to the best Australian Gins, will bring the very best gin festivities to SA: the Gin State! We celebrate the amazing Gins produced in SA and beyond. Save the Date 14 December 2019! Apply now to be part of Gincident 2019! See who was part of the very first Gincident! Look at who was entertaining those having their first Gincident! Thanks to those who supported the very first Gincident! Apply now for a December 14 2019 Gincident! Want to increase your products exposure at Gincident? | Wish to focus more time speaking with the public about your amazing Gin’s? | Like to have your gin mixed into amazing cocktails? Consider our Sponsorship Options or speak to us about a Bespoke Package. 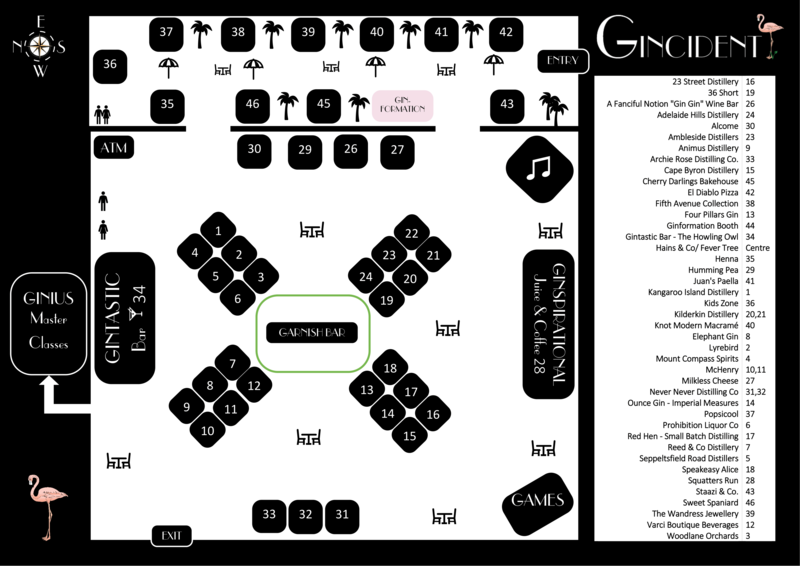 Gincident is dependent on Sponsors, Stall Holders, and Performers for its success. We are grateful for the commitment you have shown to Gincident by expressing ginterest in applying to be a Stall Holder and/or Performer. Please contact lea@anyexcuse.net for further details on all sponsorship options or discuss your bespoke package. Gincident is brought to you by Any Excuse… Event Styling and Planning.